I’m so excited to be participating in Mama Kat’s new vlogging link-up! In my vlog today, I tell you about the Halloween costume I wore this year and the costumes I made for Lily and Emmy. Emmy even demonstrates her costume! 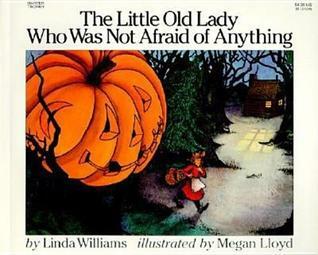 The book I refer to in this video is The Little Old Lady Who Was Not Afraid of Anything, by Linda Williams. It’s a great get-up-and-get-moving book to read with kids! 6 Responses to It’s Halloween! My recent post Writing Wednesday: Does the apostrophe go before or after the ‘s’? Clever, cute and appropriate for the age groups. Oh I can so see you teaching preschool! Emmy is a doll (with a ton of personality I see)….and you are incredibly creative! My recent post Daring Greatly….I'm In. Ah she's a natural and adorable too. The bat costumes is a clever idea. She is a doll, and that is a really creative idea. Very cute video! The bat costumes are adorable!